On Monday. 18th June, the latest WD remains aloft over the North Pakistan and Kashmir region. Its weak precipitation is restricted to the extreme Northern regions of India and parts of N.Pakistan. Extreme heat prevails over the Himalayan state of HP. With Kullu recording 38c, Dharamsala 36c, Manali and Simla at 31c (+7c). Mussourie saw 31.6c (+8c) and Nainital was at 30c. But, as has happened last week, this WD has again elongated and pulled the Seasonal low eastwards, creating an axis run from Pakistan Punjab thru Delhi thru Upper UP upto Bihar. That translates into a sort of break monsoon conditions below the axis. The prominent reason why i had mentioned "No substantial push of the Monsoon" yesterday, and in the previous forecasts. Only a low from the Bay can "break " the axis. Meanwhile, as the East winds (north of the axis) interact with the westerlies (south of the axis), we see precipitation at many places along the line. Delhi and the NCR received light rains today. As RK and others report, they have brought some relief from the heat of the past 3 days. Continuing from Yesterday, the "life" of the current UAC crossing in from the Bay is limited till Tuesday, 19th. From Tuesday thru Friday, there will be some moderate* rains in Northern AP (SriKakulaum) and adjoining Orissa regions, and parts of Gangetic West Bengal. Southern Konkan and Coastal Karnataka will recieve 50% chances of medium* rains. Heavy rains in the sub-Himalayan regions of W Bengal will continue thru this week. North Konkan will see a decrease in rains, and with interior Maharashtra, Interior Karnataka and Southern/Interior AP getting 40% chances of light* rains. Heavy rainfall moving into Nepal from Wednesday, with thundershowers in Kathmandu Wed/Thursday. Mumbai : Tuesday/Wednesday/Thursday: Partly cloudy with 50% chance of light rains (upto 5-20 mms/day). Days getting warmer to reach 32/33c. Nights a stuffy 27c. Pune: Tuesday/Wednesday/Thursday: Partly cloudy with light drizzles in some parts. No meaningfull increase in rains. Surat: Cloudy with passing light rain showers next 3/4 days. Again, no increase in rainfall due to explained situation. Nagpur may also see a decrease in rains from Tuesday. Rest of the week may just about bring a convective thunder shower in some parts. Monsoon yet to set in. Past 5 years of historical data shows Rajisthan (Thar) and Gujarat(Kutch) are no longer dry areas. Jaismalar for instance recorded 400mm of rain during 2 consequtive days (800mm) year 2010. Infact here we find lakes now. All 5 years shows above normal rains. Both UAC from Bay and Arabian seas are reaching these places. I would say entire interior Karanataka, Rayalseema, central Andhra, interior TN are most arid and desert risk areas. @sset the strech of coastal karnataka from karkala to mangalore has higher average rainfall above 350cm wich is not found along any coastal konkan station,,in fact karkala receives 400cm of rain!!! No other region in india get as much as coastal karnataka. @venkatesh but in the past two years konkan stations have notched up figures similar to coastal karnataka! !anyways coastal karnataka remains under the direct influence of arabian sea branch!! !the temperatures nd no of rainy days say it all!! @ Pavan, Dharwad is indeed a peculiar place, I have lived there for 24 years and never seen rain more than 10 cm/day. The Summer and withdrawal rains are more intense than actual monsoon. unlike chickmaglur, which is a classic rainshadow area. 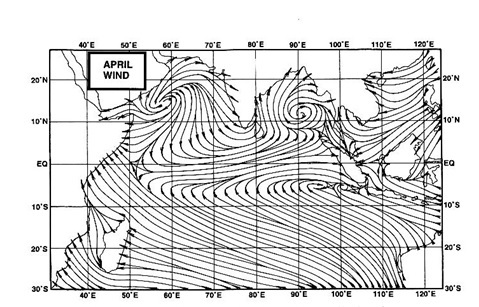 @Rajesh, is it true that the West coast trough line rarely moves inland , in 2005 there was couple of occasions where the trough line was close to dharwad setting up intense rainfall. @rajesh sir-Wanted to know your opinion regarding the toi article about the impending typhoon in south china sea which may hamper monsoon acc to the toi article which quotes imd officials...any idea?? Really surprised how little it rained after sunday evening.June rainfall for scz is 139mm & clb is 71mm. Looking at this week forecast we may not even touch 300mm for this month. When is active face of MJO commencing? anonymous: i dont think the off shore trough as such moves inland..it can move very close to the shore with embedded vortex bringing heavy rains..we have troughs inland normally in the pre monsoon stage, the "lines of wind dis-continuity" as they are refered to (see MW series)..
Ron: Yes, ron, a typhoon moving away NE turning away from the Phillipines region ,or even North, could pull in the monsoon winds, but bringing good rains to the Bay islands..
svt: in my previous blogs i have mentioned a weak MJO till 24th at least..mentioned it a few times in fact...situation remains..shall give MJO and ENSO update on 23rd.. I think Pavan question was places come after Thar/Kutch in terms dryness. Hence mentioned about desert rains during past 5 years - booming deserts (lakes formation with sustained agriculture). Same is not in case of interiors of peninsular - last 2 years saw summer temperatures more than Thar/Kutch and absolutely chronic droughts. Coming to rains past 2-3 years Maharashtra is receiving more SWM rains (june - oct) compared to Cherrapunji/Augumbe. 2011 Amboli is an example. If we notice whenever west coast is vigourous always Maharashtra coast receives more rain compared Karanataka coast. Ofcourse 2005 was all time record Mumbai/Ratnagiri got 1000mm rain in 24hours and on many occassions 400mm-500mm. Maybe some times entire year average Karanataka may receive more but during SWM period. Coming to rains past 2-3 years Maharashtra is receiving more SWM rains (june - oct) compared to Cherrapunji/Augumbe. 2011 Amboli is an example. 2011 Mumbai received more rain than Mangalore. If we notice whenever west coast is vigourous always Maharashtra coast receives more rain compared Karanataka coast. Ofcourse 2005 was all time record Mumbai/Ratnagiri got 1000mm rain in 24hours and on many occassions 400mm-500mm. Maybe some times entire year average Karanataka may receive more but not during SWM period. Reason for Augume loosing its steam is attributed to intense illegal mining, illegal deforestation by Karanataka government- no efforts to preserve environment. Rajesh your weather predictions are so accurate - yesterday you mentioned about break monsoon and there it is!!! You are really great. I feel you should advise scientist of Indian Institure of Science Bangalore about weather forcast. All these scientist with complex simulation models and parallel computers make wrong predictions. Your predictions are so precise like putting thread in needle hole. Myself really feel bad we throw all sorts of questions without basic weather knowledge. Myself need to take off some time and weather glossary. anonymous: In line with the forecast put up till Thursday yesterday (Monday)..shall review the next 3/4 days tomorrow.. When do you see a revival in monsoon in Mumbai, frankly as said by you next 3-4 days do not promise any good rain in Mumbai. Do you feel we will reach June averages as expected by you or this monsoon is going to be a dry one with EL Nino setting in earlier than expected. The skies are perfect clear with no sign of black clouds. Ameya: Mumbai will fall short of Vagaries forecasted rainfall amount..not much worried abt the El-Nino, but more concerned with the MJO..shall put up weekend forecast on Thursday..